After yesterday's social run that was high on fun but low on performance, I felt I needed to go out faster today. My Saucony Virratas were still damp from Saturday morning's rain, so I opted for my Brooks Pure Drifts that have sat dormant over the past couple of months. I'm trying to decide what shoes to wear for next Sunday's race: the Virratas, the Brooks or my Spiras that I wore the last time I raced in Long Beach. Once I had the rest of my gear selected, I was off. The temperature was 58° but it felt colder than that when I got outside. I started off running about a minute a mile faster than yesterday and I maintained that pace for the next 30 minutes. I stepped it up further for the remainder of my run, the last mile being predominantly uphill. Well, if not uphill, then at least "upslope." 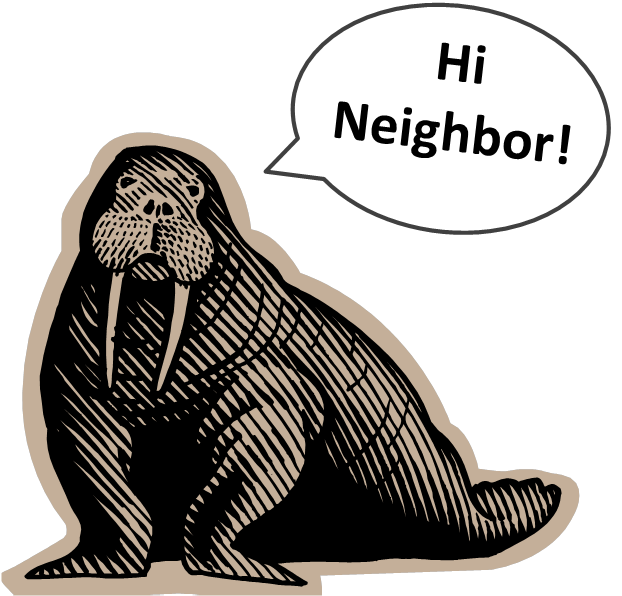 I did today's run in my neighborhood and it was business as usual until I suddenly came across what looked like a large naked walrus standing on the sidewalk in front of a house. On second look it wasn't really a walrus, but an overweight shirtless man with a long walrus mustache. I didn't understand why he was standing there or (un)dressed that way in 58° weather, but I didn't bother to stick around and find out. With my next race happening next Sunday, I need to figure out my workouts from now until the weekend. I'm thinking that a speed session and perhaps another 6 mile run, followed by two days rest, is a good taper plan. 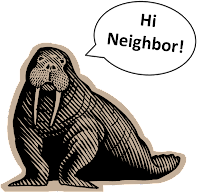 I'll also try to pick a route that's free of walruses, human or otherwise.